One of my work responsibilities this weekend is to draft a letter in support of continued federal funding for the National Endowment for the Humanities. 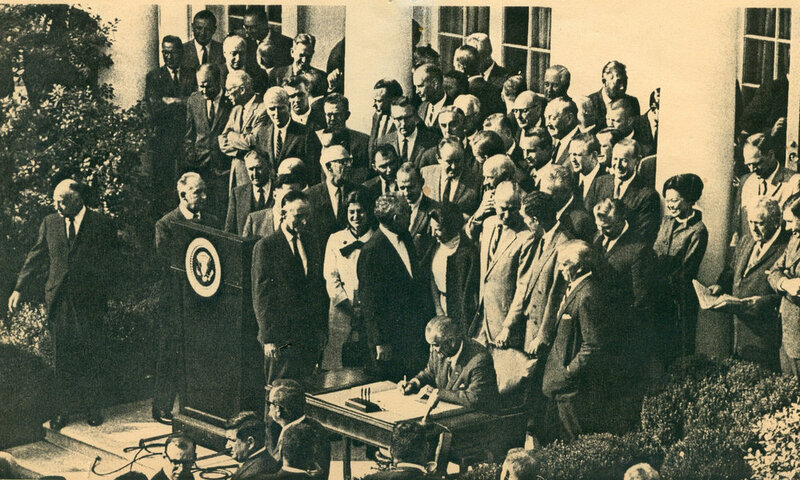 In preparing to write the letter, I decided to return to the piece of legislation that established both the NEH and the NEA, the National Foundation on the Arts and the Humanities Act of 1965 (P.L. 89-209). Given the political context in which we are currently operating, it is worth reflecting on this piece of legislation -- specifically its text, which outline a set of principles that remain relevant today. If you've never read it before, I encourage you to do so. Then, contact your representatives and ask them to support continued funding for the NEA and NEH. I have included the full text of the act below and have highlighted several important passages. (7) The practice of art and the study of the humanities require constant dedication and devotion. While no govermment can call a great artist or scholar into existence, it is necessary and appropriate for the Federal Government to help create and sustain not only a climate encouraging freedom of thought, imagination, and inquiry but also the material conditions facilitating the release of this creative talent.